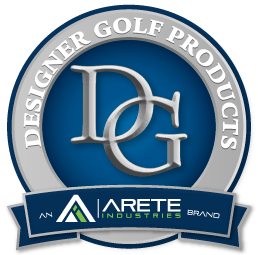 Arete Industries family of brands provide high quality products to uniquely different markets. Our distinctive “Designer to Client” (D2C) process allows us to design and manufacture products that meet each customer’s unique needs. We welcome you to explore the brands of Arete Industries and allow us the opportunity to change the way your customers see your business. R3 Site Furnishings manufactures site furnishings and signage for the resort & hospitality, food service, parks & recreation, educational, municipal and attraction industries. Designer Golf Products has been a leading manufacturer of signage, markers, furnishings and printed products to the golf industry for over 30 years. Site Essentials is a manufacturer of custom architectural signage products & site furnishings for single and multi-family developments, resorts, municipalities, educational institutions & commercial properties. Arete Printing is a full service commercial printing company that offers graphic design, digital printing, off-set printing and bindery services to customers both locally and nationally.